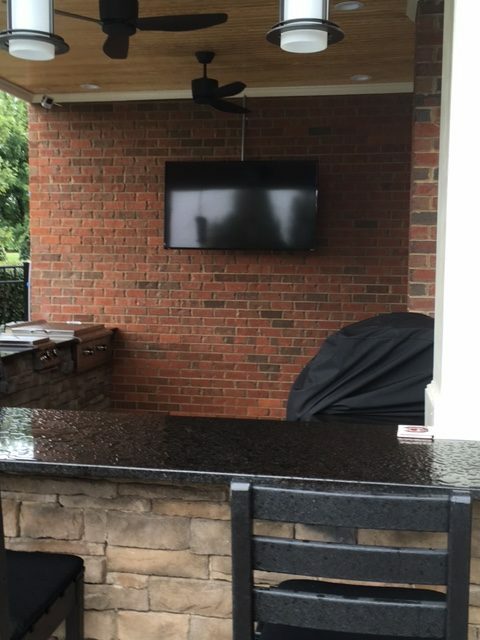 Home outdoor entertainment systems are the perfect addition to any exterior living space for homeowners in the Raleigh area. To take advantage of Raleigh’s pleasant climate and get the most out of your outdoor living space, consider adding a theater or speaker system to your home’s backyard. Whether you plan on entertaining guests or saving the fun for family, Brookscapes can give you the home outdoor entertainment system you’ve always wanted. Seating. Backyard hardscapes play into the effectiveness of your entertainment system. If your patio is covered, furniture choices open up. Sound quality. Outdoor speaker selection and placement is a big factor in the quality of your home’s outdoor theater system. Visual impact. Installing the correct screen or projector for your patio/backyard can create the ideal outdoor entertainment area. Although the Raleigh-Durham area can get fairly cold in the winter months, a professionally-installed outdoor home theater system can be used year-round. Brookscapes designers are masters of designing audio/video systems that can be added upon. If you decide to add a fire pit or outdoor fireplace, your entertainment system can be adjusted. The entertainment follows the homeowner and his or her guests. 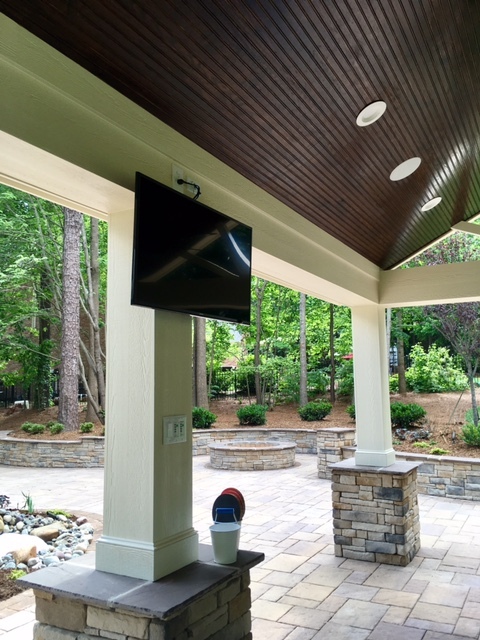 At Brookscapes, every home outdoor entertainment system is customized to the client’s exact needs. If you have a vision, we are happy to make it happen. Call us in Raleigh at (919) 872-5770 or complete a short contact form to learn more today!